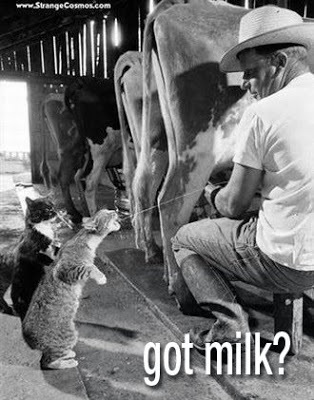 Too Much Milk Causes Cat’s Tail to Shrink! 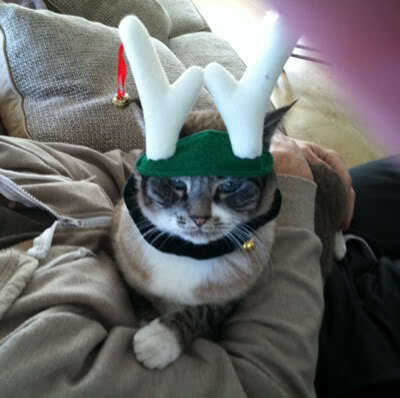 Mill Valley, CA- – Jesse Cat in His Christmas Best. Jesse Cat from Mill Valley sends his Holiday Greeting and Warm Wishes to all! 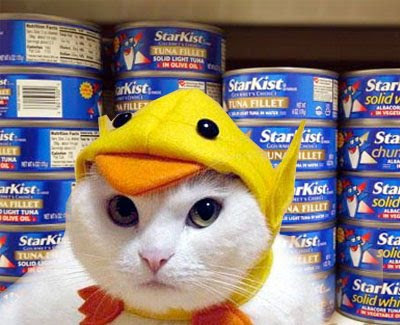 Monrovia, CA–Once again, the authorities have been confounded by another large theft of Tuna at the local Monrovia Ralphs. New evidence has indicated that this may be UFO related. Anyone with information on this crime is urged to contact the authorities or post information at Stolen Tuna. Monrovia, CA–Despite upgraded security, the Tuna section in the Monrovia Ralphs was hit again. Authorities are baffled. Anyone with information on this crime is urged to contact the authorities or post information at Stolen Tuna. 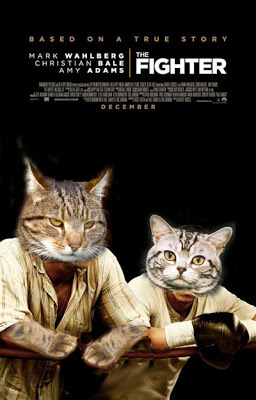 Monrovia, CA–Kitty Free Press’s pick for the 2011 Oscars – the Fighter. 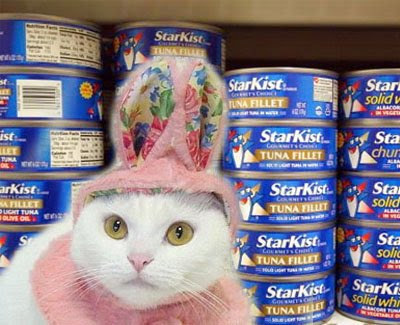 Monrovia, CA–The local Ralph’s in Monrovia was devastated again at 8:00 am by another large theft of tuna. 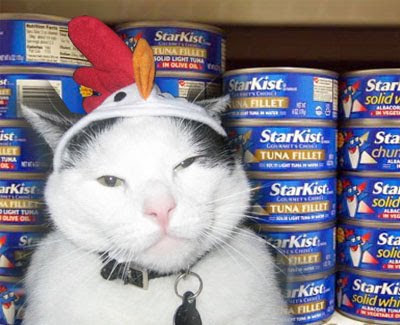 Says store manager, “We are not getting another shipment of tuna until Wednesday and this will pose a serious issue to our customers wanting tuna for their casseroles and such.” Anyone with information on this crime is urged to contact the authorities or post information at Stolen Tuna. Says Roger W. Johnson, Police Chief of Monrovia, “We have two strong leads we are investigating. One theory is this may be gang related. The other theory is the possibility of a District 9 UFO conspiracy.” Chief Johnson declined further comment. 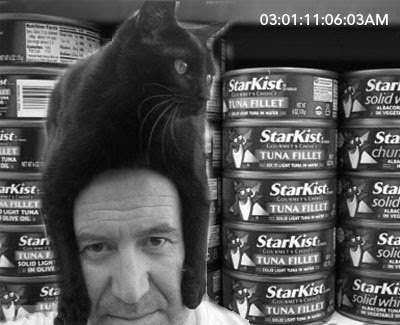 Anyone with information is urged to contact the authorities or post information at Stolen Tuna. Monrovia, CA–Police report a significant tuna theft at the local Ralph’s in Monrovia at 8:00 am. 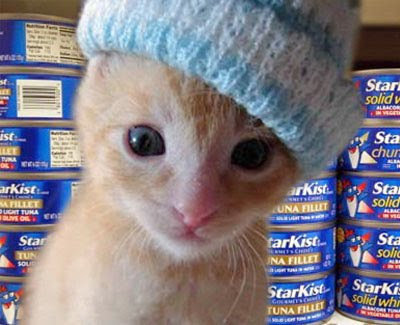 A significant amount of tuna in oil and water was stolen. Anyone with information on this crime is urged to contact the authorities or post information at Stolen Tuna. 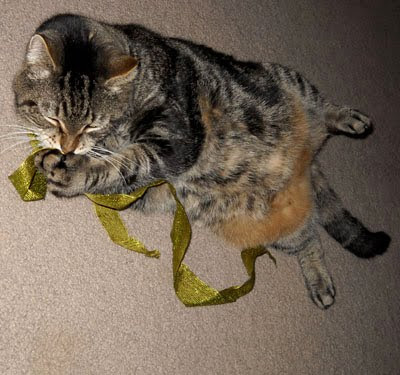 Williamsboro, TN– Maximus a large male tabby rescue with a fat tummy, confounds his owners by discovering Christmas ribbon after long after it had been packed up.